This review represents what is likely to be the last of the "summer" snack offerings that I'll be covering in 2011. 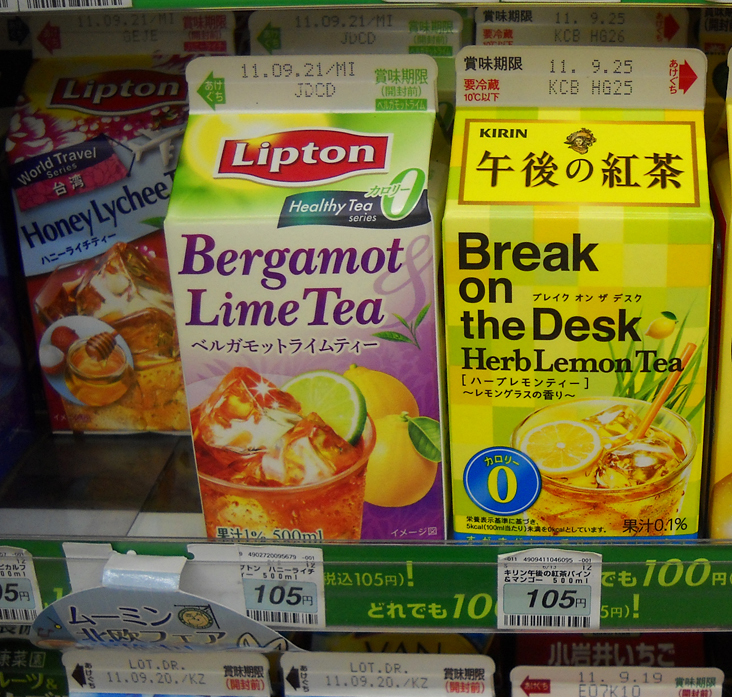 Lemon has been the shining star of the setsuden (energy conservation) summer in Japan. Somebody somewhere decided that the sharp sourness of lemon was equated with "ice" and "cool". Perhaps you're supposed to be braced by the desire to pucker up, though I can't say that I personally have ever encountered a lemon sweet that wasn't sufficiently saturated with sugar that I have found myself in the remote vicinity of a pucker. 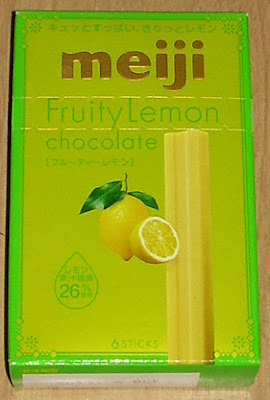 This is part of Meiji's line of stick chocolates, which were introduced some time in the last year or so. My first encounter with this particular line was with a cinnamon version. At that time, I thought it was a one-off release, but the general line must have been successful as now I'm seeing many flavors including Earl Grey, ginger, and mint. This line is called "my choco box". I guess that it serves people who are possessive about their treats. There are 6 sticks in the package. Each is about 30 calories for about 5 grams. My guess is the total volume is not dissimilar to a Hershey's Kiss, though the presentation makes the experience different. At normal room temperature (not hot, not cold), the chocolate is on the soft side and has no snap at all. Frankly, I wasn't fond of the texture as I like chocolate to be a bit peppier when I bite into it. This yields like an overcooked noodle. The box says that this is made with 26% lemon juice and the lemon is quite present, but not nearly as sour as I might like. 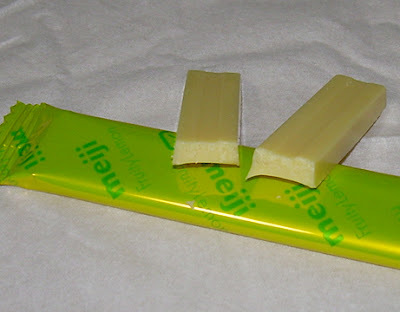 There's a missing citric acid bite which has either been consumed by the cloying sweetness of white chocolate or too much sugar. My husband, who likes things sweeter than me, liked this fine. He felt the balance of flavor and sweetness was quite good. I found myself wondering if it was all a bit too one-note for me and if I might have liked it better if there had been greater depth to the flavor such as added vanilla, more salt, or another citrus addition. For me, I think I'd like this better if it was refrigerated first to make the chocolate firmer and the flavor was enjoyable if on the sweet side. I feel it's unfair to give it an indifferent rating even though I personally would not buy a box for myself again. That being said, if my husband bought a box for himself (and he did say he'd buy this again), I'd certainly eat a piece of it. I'm giving this a "happy" rating because I think it's good, even though it's not an ideal sweet for someone with my particular tastes. I'm not sure if this is as funny to others than it is to me, but the name of this product makes me think of some lewd interaction between a boss and secretary during lunch time. For those who are less perverse about what it might me to "take a break on the desk", I will say that it's a zero calorie tea (hence the big zero in the lower left corner) which I'm sure would provide a less than impressive break experience as I've had several of these before and most of them taste like weird Kool-Aid and artificial sweetener. Still, the Bergamot Lime looked interesting, but I've had a bad time with bergamot in Japan so I gave it a pass. The Daiso is a 100-yen shop chain which is scattered all over Japan and even has a few branches in the United States. Each Daiso carries a slightly different selection than any other in my experience. This is based largely on location. 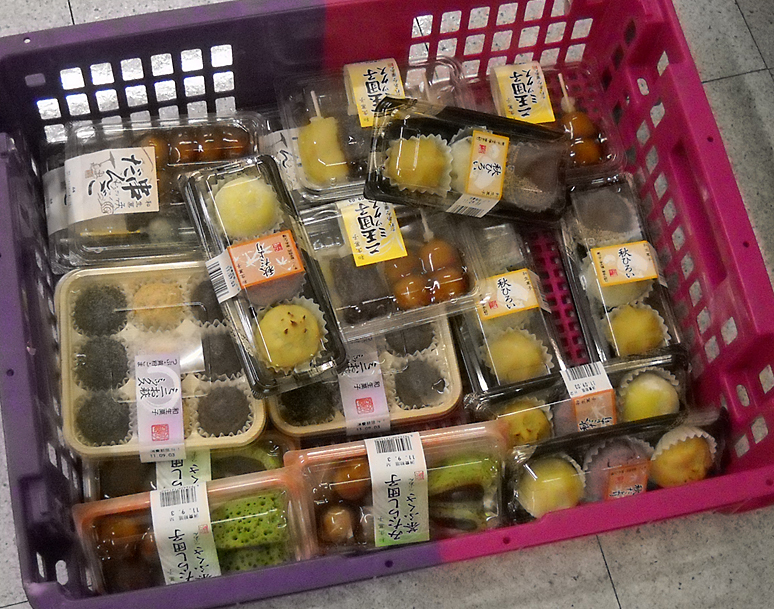 The very large shop closest to my home sells no food whatsoever because it is located on the second floor of a supermarket and my guess is an arrangement was made so the low-cost foodstuffs sometimes carried at Daiso wouldn't compete with the pricier items in the market. I recently discovered a small Daiso in the basement of an office building not too far from one of my workplaces. This one carries a great many snacks, instant food items, and drinks. I bought some instant vanilla coffee there which totally blew in terms of taste (it tastes like cheap vanilla candles smell). 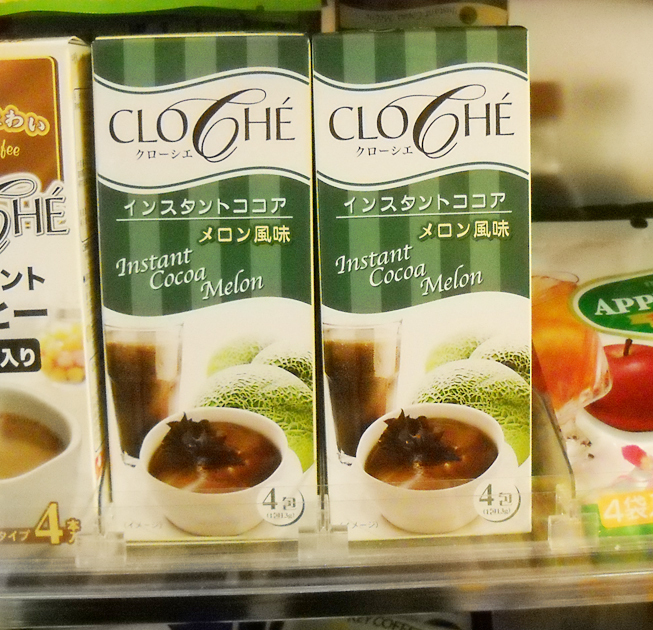 I did not purchase, but took a picture to note, this very odd combination of flavors. I'm all onboard with chocolate and fruit flavors in general, but melon cocoa sounds like a pretty disgusting pairing to me. Every culture produces a candy version of its money. I like to imagine this started with Hanukkah gelt, because that's the oldest religion I know of which includes an ongoing custom that offers up candy money. However, considering that chocolate is a New World crop, and that the ancient peoples who grew it drank it much like we drink coffee, I'm guessing that the true origins of things like chocolate coins will remain unverifiable. Such is the loss to humanity. I knew when I picked up this bag of Tirol chocolate 5-yen coins that it wasn't going to be full of some unique candy that I'd be struggling to describe the flavor of. I bought this out of a sense of culturally transplanted nostalgia. That being said, I had forgotten how obnoxious relatives liked to tease me with hints that I was getting actual money then give me the chocolate stuff. They were always amused by this gag, but my sister and I were far less impressed. Nonetheless, when old sorts weren't trying to pull one over on my diminutive self, I always loved getting gold foil-covered coins at various holidays (usually Christmas) and I couldn't resist the Japanese take on this childhood favorite. Also, frankly, since most Tirol candy is sold in individual squares, I wanted to sample this unusual offering from that company. 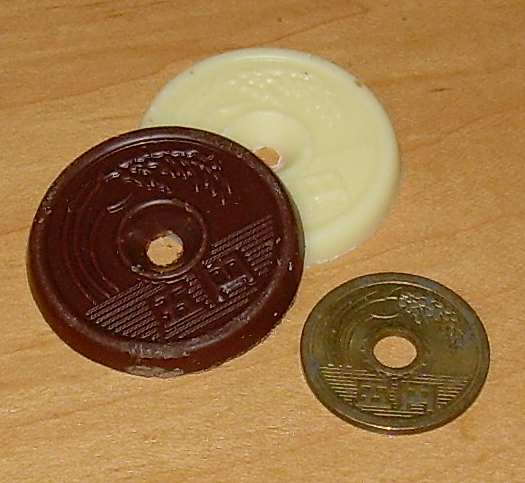 The candy is actually quite a bit bigger than a real five-yen coin. 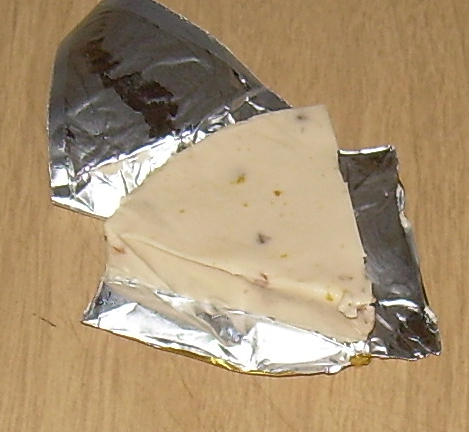 The packet contains 54 grams (about 2 oz.) of individually wrapped candies. Each packet is 28 calories and has two "coins", one white and one semisweet chocolate version, in it placed back to back. Both are fairly thin and nicely crisp with a good snap. Well, at least mine were after I kept them in the refrigerator. 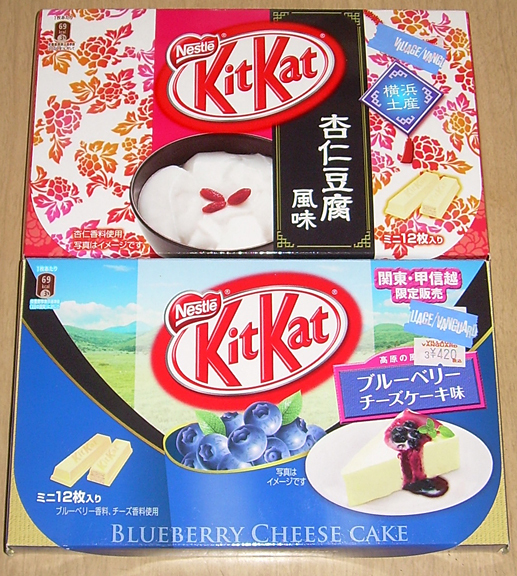 The white chocolate one is mellow and sweet. It's actually less cloying and offensive than most offerings of the white stuff. The other one is actually quite tasty with a nice bit of bitterness and a strong chocolate flavor. I liked these quite a lot and would be pleased to keep a bag around for a quick bite of chocolate if they were all the semisweet chocolate variety. As it is, I tolerate the white one amiably, but find it less than fulfilling as a sweet snack. Right now, my chocolate bits of choice are Crunky mini bites (which are 14 calories each), but these are a serviceable substitute for portion-controlled nibbles. 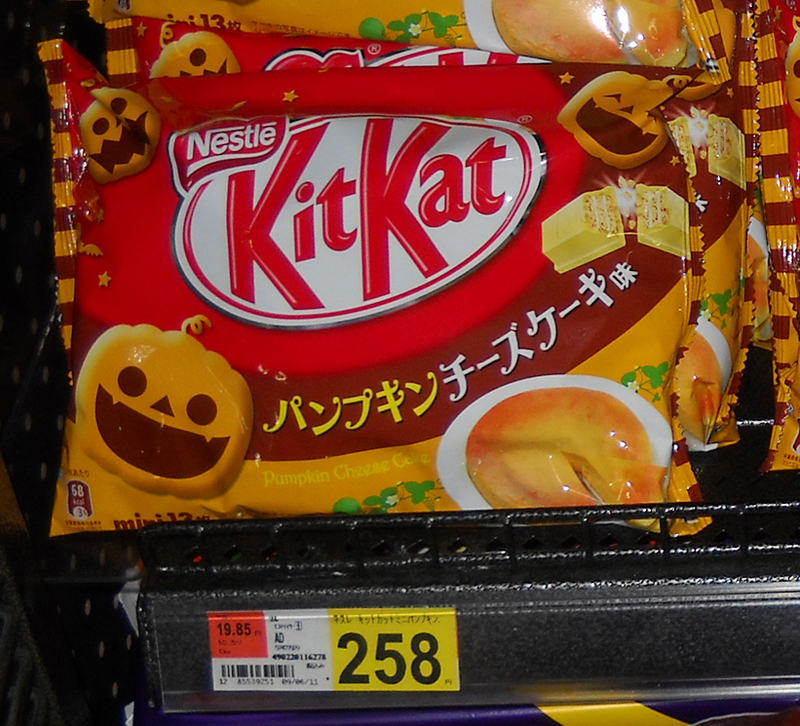 Japan doesn't "do" Halloween, though over the years I have been here, it's been heading in that direction. 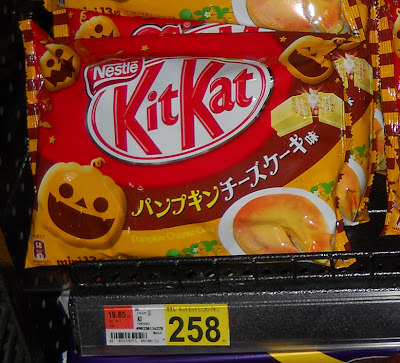 The displays of Halloween candy are growing larger, though the candy doesn't tend to be especially positioned as Halloween flavors but rather just attractive and colorful packaging of the same old releases. There is an exception to that, and it's the pictured Japanese KitKat above. 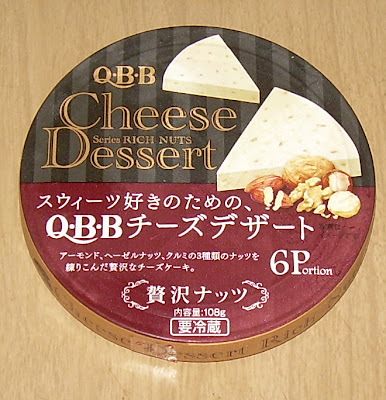 This is a pumpkin cheesecake variety. Clearly, anything pumpkin would seem to be simpatico with the spirit of the occasion. I'm torn about trying this. 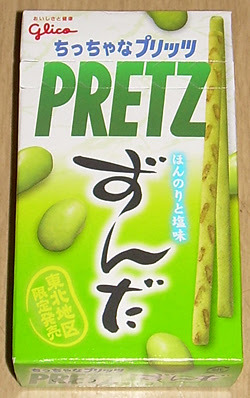 I want to try it, but am reluctant to buy a whole big bag of it just for sampling. There's every chance that this is Japanese pumpkin (kabocha) flavored rather than a more American pumpkin pie experience. This isn't really a problem for me as I adore kabocha, but my husband dislikes it and the prospect of eating a whole bag of mini bars alone (it'll take over a month) is what is holding me back. Still, I may weaken and give in. We'll see. Sorry that I don't have a picture of the soup dissolved in a cup. It's just a white, semi-translucent fluid. It doesn't resemble any disgusting bodily fluids or anything. Nope. Kitami City is in Hokkaido and this is a souvenir package of instant consomme soup. 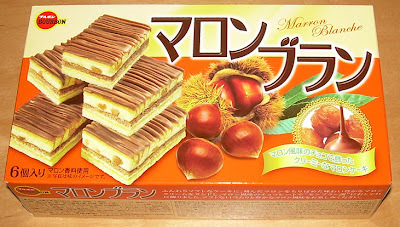 You might ask yourself if I have been to Hokkaido lately. The answer would be "no". You might ask yourself if one of my students has gone there and kindly given me this soup. The answer would be "no". You might ask yourself if I pawed through the trash of someone who recently went to Hokkaido and discovered a discarded bit of food. The answer would be "no" as I'm not quite that far gone yet. Like many special regional souvenirs, this is sold in Tokyo. I was taking a break-time walk at work and walked around the Shinjuku Southern Terrace area (famous for its Christmas lights and Krispy Kreme). It seems that it's a mini-Mecca of places that stock regional souvenirs. One was for Miyazaki prefecture and another for Hokkaido. I went into the latter and perused their stock. I was familiar with a lot of things already from a bit over a decade of office work and being the recipient of obligatory souvenir treats from traveling salesmen. The "corn choco" was always a crowd pleaser. I wasn't going to buy anything because it's all pretty expensive and sold in portions meant to allow your whole office to partake. However, the soup looked like it'd make a good companion to the sandwich I'd brought for lunch and I debated buying the instant gobo (burdock) soup or this white curry. The choice I made is obvious. I do wonder why white curry is in any way representative of Kitami City. It may have something to do with their winter festival because, you know, snow... white...white... curry. Yeah, it's a pretty tenuous link. The company that makes this, "Greens Kitami", makes several different packets of dehydrated consomme soup. Their own web site link was dead or redirected, but they appeared on an aggregate site and it appears their specialty is onions. Since most soup has onions, this makes sense, though you don't really see any in this powdered mix. This was an expensive bit of soup at 315 yen ($4.07) for 10 packets of consomme powder. Each sleeve makes 150 ml. or three-quarters of a cup of soup. That's not much for your money, but at least each serving is only 15 calories. I had to guess how much water to use the first time since I was at work and there were no measuring cups. I believe I made it too strong, but that was still good. The smell is very good. It is not exactly the same as conventional curry. In fact, it lacks that telltale scent of cumin or generic curry powder. The first ingredient is pork extract followed by a lot of other extracts, which is to be expected from consomme. The flavor is definitely that of curry, but it is less "heavy" and overbearing. It's not very hot, but has enough of a kick to make it interesting. In fact, this has a deep savory edge and is quite delicious. It's definitely a cut above your usual powdered soup mix. I liked this soup very, very much. In fact, it's safe to say that I'd consume it regularly if it weren't so expensive and available in a rather limited fashion. The bottom line, however, is that this would have to be the food equivalent of cocaine for me to buy such small portions for 32 yen each on a regular basis. However, I would buy it again as a special treat, and can definitely recommend trying it if you come across it in your travels. 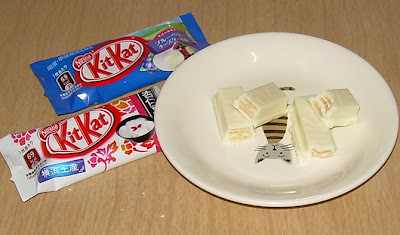 I vowed a long time ago not to seek out the regional KitKats nor to pay a premium price for them. I'm sure all of my readers will appreciate my faithfulness to this promise which has absolutely nothing to do with them and only deprives them of content they may desire. That being said, if a regional version drops in my lap at a low price, I'm not going to walk away. I may be cheap, but I'm not that cheap... yet. My husband and I were taking a sweaty summer evening stroll and it was not the good kind of sweaty which involves inappropriate activity in a public space. It was the usual bath in a humid boggy atmosphere kind of sweaty. Anyway, he suggested that we pop into the Village Vanguard to look around at their usual array of imported food and Japanese snack oddities. It's always good to pop into one of their shops and listen to loud music that is supposed to let the patrons know how hip they are and prime the rest of us for hearing aids in our elder years. They've been selling regional KitKats for awhile, and I guess they finally gave up on moving them so they reduced the price by half. Instead of 840 yen a box, they were 420 yen ($5.47). To this, we said, "sold", as this positions the price such that they cost almost the same as regular KitKats. My husband chose the blueberry cheesecake because he'd had it before and liked it. I reviewed it before, and didn't much care for it, but figured I'd give it a try to see if this Kanto-Koushinetsu regional version was different. It turned out that it wasn't. It was exactly the same mixture of extremely subdued blueberry flavor paired with too pungent cheese flavor and overly sweet white chocolate. Each mini bar is 69 calories of disappointment, at least for me. My husband actually enjoys them, so it's all down to your tastes. Now that I only do two reviews per week, I feel somewhat obliged to choose more interesting products. I'm guessing this will last a few weeks then I'll go back to reviewing various chocolates and cookies which are not only more pedestrian, but more readily available. 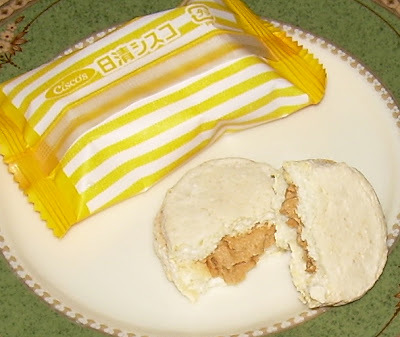 While talk of Japanese snacks often focuses on the bizarre, the truth is that not so much of what is on offer is all that strange...at least not after my years of already reviewing various snacks. In light of my current mindset, which is somewhat guilty at reducing the number of reviews, I didn't hesitate to snap up these oddly flavored sweets. 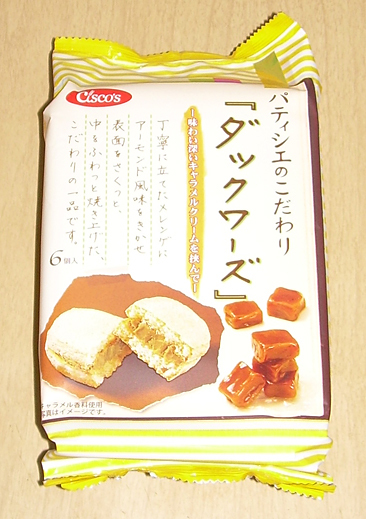 It didn't hurt that they were only 69 yen (90 cents) at Okashi no Machioka snack shop. The fact that they are plum (ume) isn't really all that odd, but the fact that they position salt as a favorable aspect is. The Japanese clearly aren't as uptight about salt as Americans, who are told constantly that salt consumption is a one-way ticket to a heart attack. This is part of a series of "tablets" Kabaya is releasing to meet various needs. Others include Calcium, grape sugar, and amino acids. The Calcium is to help you not grow old looking like a question mark and the grape sugar is to fuel your big brain's function. Amino acids are to help with muscles. All of them are positioned for people engaging in sports, except Calcium which appears to be for old people who do stretching exercises and mothers pushing babies in prams. I guess the salt charge is to help you replenish precious sodium that you've excreted through your pores during your vigorous workout. 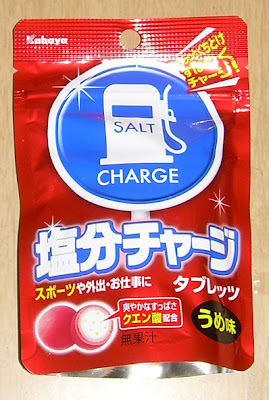 Since most Japanese folks I know exercise once a month or so, I can't imagine much demand for these except for those people who think a plum-flavored salt lick is a good time. Though these are called "tablets", they are balls. I think "tablet" in Japan merely means it has some pressed powdery component, which these do. The outside is a hard suckable candy and the inside is pressed citric acid powder, salt and sugar. Besides supplying you with precious salt, they also offer Vitamin C, B2 and amino acids. The whole bag provides 150 calories and there are 14 little balls in the bag, so about 10 calories each. 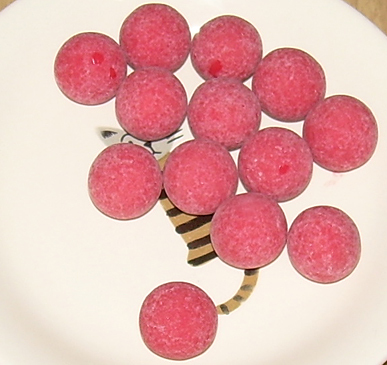 In terms of the taste, the outside tastes a lot like the Mintia plum mints that I liked so much. It's both sweet and sour in a fairly balanced way. It tastes funky, but good. 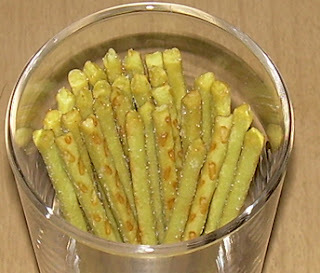 The inside, which takes several minutes to reach, is white powder which is quite salty, but also tart. It's not bad, but I could have done without the middle and stuck with the outer shell. These aren't bad, but they are weird. They're the kind of thing you might find enjoyable in exactly the right frame of mind, but you're more likely to take if you really feel you need the "health" benefits of the additives. Every time I see a product by "Cisco's", I can't help but think of "Deep Space Nine's" Captain Sisko. The Cap'n (not Crunch) character who had a father with a restaurant called "Cisco's". Somehow, I doubt that this company is populated by Star Trek geeks paying an homage to the Trek universe's only African American (and my personal favorite) captain. This doubt is supported to some extent by the fact that the company was established in 1924. There is always a small chance that Cisco's founders were time traveler's who traveled ahead and watched DS9, but I think that's just a bit of a stretch. It's interesting to me that Cisco Nissin Japan only has 364 employees. That's a pretty tiny company for their market penetration, especially when it comes to cereal. 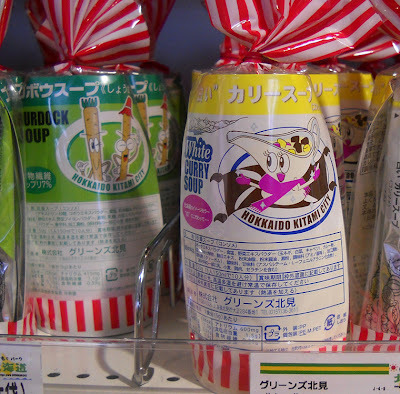 They're one of the biggest makers of sugar cereals in Japan and have one of the largest line-ups of any maker of said cereals. Sadly, that is less a testimonial to their vast range of products than the meager offerings in Japan of the types of cereals that concerned mothers don't permit their children and college kids subsist upon. Their best-known product, incidentally, is "Choco-Flakes", which are essentially chocolate-coated corn flakes that are eaten as a snack. The Japanese aren't trying to fool anyone when it comes to such things. They don't even try to convince you that such a sugary treat should have milk added to it. No, that stuff is made to be crammed into your face by the handful. Of course, this review is not about "Choco-Flakes", though I have eaten them on several occasions and really should review them one day. 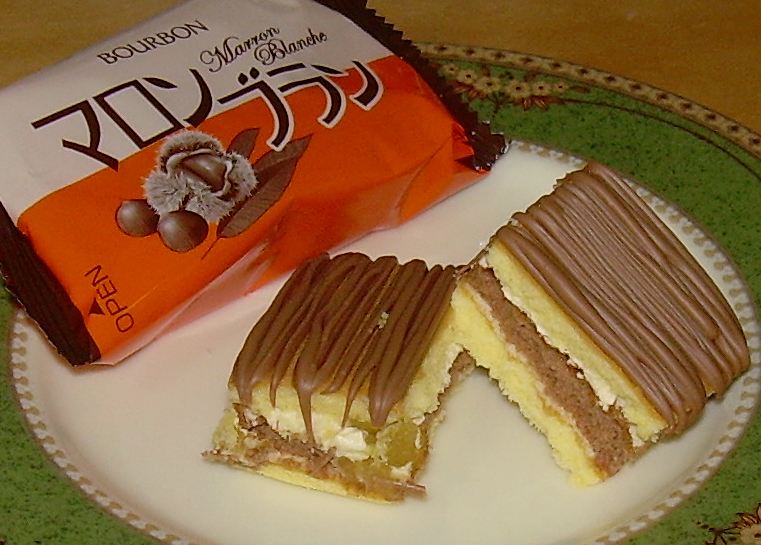 This is about these cookies which are sold with a French pastry name to lend an air of sophistication to them. You can get these at a variety of convenience stores right now, and in some markets and snack shops. The price I paid is lost in the cobwebby memory of my 47-year-old brain, but I think it's somewhere in the vicinity of $2.20 (170 yen) for a packet of 6 cookies. The cookies are 5.5 cm x 4 cm (2.2 in. x 1.6 in.) and light as a feather. Each is 48 calories. Like the vanilla version of these that I reviewed previously, the cookie is a super light sponge with a very lightly crispy top. The real proof in the pudding though was going to be the filling. Caramel is so easy to mess up with overbearing or overtly fake flavors. I'm pleased to say that the super light and fatty whipped cream center is sweet, but has a good balance of caramel. Frankly, these are addictively delightful. If I were so inclined, I could easily eat the whole bag up at once. It'd be expensive, but given how light the cookies are, it'd probably be worth the 300 calories. These are lovely morsels that succeed on multiple levels. They have good textural variation, good flavor, and are unique as a treat in the manner in which they straddle being a cake and a cookie. 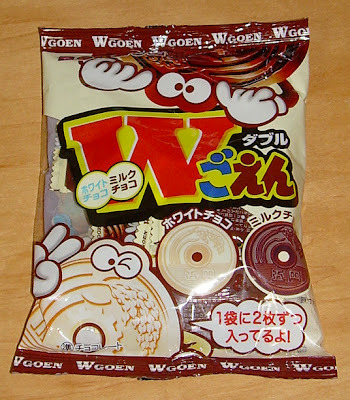 I would certainly buy these again, and hope that Cisco Nissin keeps making this brand in other flavors.